As genealogists and family researchers, we should be familiar with the OCA - its history and records. How else do we turn every stone and scour every possible clue to our ancestors? Admittedly, this only occurred to me in talking to a neighbor who is a member of the OCA. 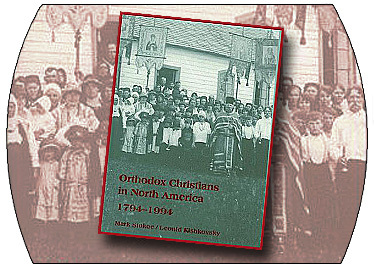 Immigration and Conversion (1870-1920) First Orthodox Church in US was established in New Orleans, 1864. Comprised of our Greek, Slavs and Arab ancestors. If you are looking for your Serbian, Russian or Greek ancestor in the 1860’s, you may also wish to research the OCA San Francisco records, Holy Trinity Cathedral and other largely populated immigrant areas (i.e. New York, Chicago). The impact of wars and politics on religion, immigrants and migratory paths must be considered. So, as you research your ancestors, be sure to take into account the 1917 Russian Revolution. This conflict clearly impacted the church and its affiliations to the Russian Diocese. Also, be sure to understand the impact of the purchase of Alaska by the United States in 1867. This too changed gravely reshaped the established Orthodox Alaskan community. For an in depth historical overview visit: A History and Introduction of the OCA. “With few exceptions, their historical experiences remain unrecorded, their documents untranslated, their personalities, institutions, and activities unknown." Orthodox Christians in North America (1794-1994). To my surprise the website touts “individuals and groups are always welcome to visit the OCA Archives to familiarize themselves with the collections or to conduct research on a particular topic."